Mohanlal upcoming new malayalam movies (films) in 2014 and 2015 with complete list of his future projects is given here. After the majestic success of Drishyam, the actor will be having a fruitful year with a handful of projects in 2014. His announced projects in 2014 include Mr. Fraud, Koothara, Peruchazhi, Laila O Laila, Puli Murughan and few untitled ventures with established directors. Mohanlal, who has stepped into the malayalam film industry essaying a villainous role in the movie Manjil Virinja Pookkal is truly a living personality. Sustaining in the industry for more than 3 decades and acted in over 320 malayalam films, the actor with an extra bone is known for his versatile acting. Also known as a producer, Mohanlal also had shown his mettle in other south Indian languages including Tamil, Telugu, Kannada and even in a couple of bollywood movies too. Out of his 6 movies in 2013, it was Drishyam which added yet another golden feather to the cap of the actor. Even though no movies of the actor yet got released in 2014, a number of power packed projects are under making which would be visual treats for the movie lovers. His upcoming ventures in 2014 are Mr. Fraud, Koothara, Peruchazhi, Laila O Laila, Puli Murughan and few untitled projects to be directed by established directors. B.Unnikrishnan, who has shown his mettle as a scriptwriter and director, is up with an interesting project with Mohanlal in lead. B.Unnikrishnan who made his own space in the industry directing movies like IG, Madambi, Pramani and Grandmaster is teaming with super star Mohanlal for the third time. Madambi and Grandmaster with Mohanlal as lead actor were box office successes. Mr Fraud written and directed by B.Unnikrishnan is being produced by A.V.Anoop under the banner A.V.A productions. This big budget movie is touted is have been made with a mamooth figure of 7 crores. Dev Gill, Pallavi Purohit, Mia George, Manjari Phadnis, Vijay Babu, Rahul Madhav, Ashvin Matthew, Arjun Nandhakumar, Vijayakumar, Sai Kumar, Suresh Krishna, Sathaar, Devan, Gopi Sundar (cameo appearance) and Rajeev Parameshwar will give life to other prominent roles. For the lyrics of Hari Narayana and Chittor Gopi, the soundtrack and background score were composed by Gopi Sunder. Satheesh Kurup stayed behind the camera as the Director or Photography (DOP) while Stunt Silva has given his support for the stunt scenes featuring Mohanlal and villain Dev Gill. Heard for the grapevine, it is said that Mohanlal was paid Rs 2 crore for the movie Mr Fraud. Under tight and busy schedules, the shooting will be packed up on 14th April. The release of this movie is not yet announced. Koothara, yet another much hyped project under making muscled with prominent actors. It is reported that Mohanlal will play a negative role in this movie who is featured in an epic look. Aleady the first look poster of the movie with Mohanlal was short-listed for the International Best Poster Award category. Touted as a campus thriller, Koothara is helmed by Srinath Rajendran. Written by Vini Vishwa Lal, this movie is produced by Shahul Hameed Marikar under the banner Marikar Productions Reloaded. A young cast including Bharath, Sunny Wayne, Tovino Thomas, Bhavana, Anu Benny, Janani Iyer, Gauthmi Nair, Shritha Sivadas and Madhurima would add more colours to the star cast. Much interestingly, it would also mark the comeback of Ranjini who would do a prominent role co-starring with Mohanlal after a gap of 23 years. Madhurima will essay the role of Shaista, an NRI while Shritha Sivadas plays the character role of Shipla, a simple village girl paired opposite Sunny Wayne, who plays a college student. The lion share shooting of the movie was done at Calicut University Institute of Engineering and Technology, Thenhipalam while the other scenes were shoot at Calicut, Ernakulam and Lakshadweep. This adventurous movie pools into life of three friends under the backdrops of an engineering campus. The sound track and background score has been handled by Gopi Sunder. 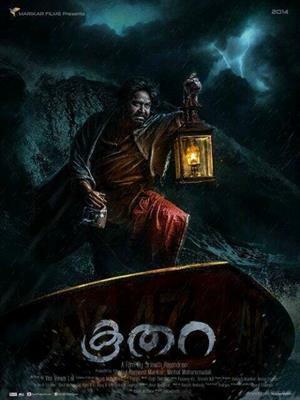 With the final cut, Koothara is slated to get released on 31st May 2014. Peruchazhi directed by Arun Vaidhyanathan is yet another much hyped malayalam movie which comes along with an interesting star cast. Arun much known as an Indian – American film director, producer and screenwriter who is gearing up to make his maiden mollywood venture a success. The movie is being produced by Vijay Babu and Sandra Thomas under the banner of Friday Film House. Mukesh, Ragini Nandwani and Pallavi Chandran play lead roles while Aju Varghese, Ragini Nandwani, Sandra Thomas, Shankar Ramakrishnan, Baburaj and Delhi Ganesh will be seen in other prominent roles. The story of the movie revolves around the life of Viswanathan (Mohanlal) and Raghavan(Mukesh), two best friends who are enemies too. Viswanathan is an young politician while Raghavan is a minister. Both of them tries to bring down the other to rise top of the ladder. Meantime, Visvanathan is asked to go to the US as a part of an upcoming election to be held there. Being much familiar with the tricks to be played in politics, Vishwanathan was asked to support the Governor candidate in the US. As he is ignorant in English, it was too difficult to manage the situations. The story moves to the next phase as Vishwanathan and Raghavan plans to bring down each other. The shooting of this movie will start from 10th April 2014. Arrora (Navin Iyer) will set the tunes for the movie while Aravid Krishna stays behind the camera as the DOP. It is known that Mohanlal, the actor with an extra mileage has already committed more than 10 movies which would keep him busy till 2015. Some of the other projects of Mohanlal include Laila O Laila, Puli Murughan and few others. Another much hyped movie would be 'Laila O Laila' directed by Joshiy. Scripted by Suresh Nair, the movie will have Amala Paul as the lead actress. Other upcoming ventures of the actor include Vyshakh's 'Pulimurugan', Santhyan Anthikad's unitled project, Rajesh Pillai's Lucipher.